“I’ve always been one to help the underdogs,” says Ashley Stroud, the new special education teacher for Salem High School. 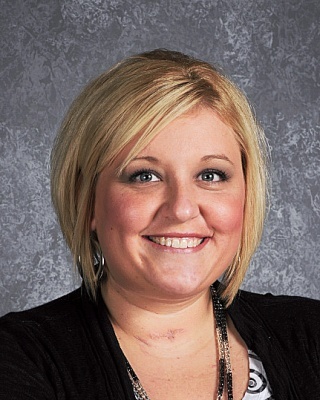 Stroud was given the opportunity to work at Salem after the Special Education Cooperation gave her a list of schools that would fit best with her, West Washington being the other school that she applied for. She didn’t always want to be a teacher though. She had planned to become a nurse, but after the passing of her father at age 23, she made a career change. She chose special education to help others in need after growing up with two disabled cousins. “I was always taught to help others. General education seems boring to me, here we have outside issues and you really never know what to expect,” says Stroud. The most stressful part of her job, in her eyes, is the legalizing and paperwork that must be filled out. Another inconvenience is meeting the IEPs and working with teachers who also have to meet her student’s IEPs. A pet-peeve that she has in the classroom is when her students don’t put forth their best effort even when they don’t understand something, and of course, a paper with no name. “In the end, it’s worth it to see the progression,” says Stroud. Ashley Stroud is more than just a teacher and paperwork though. She enjoys spending time with her two dogs, and something that most teenagers can relate to, shopping. She also likes to go skiing and to decorate her recently purchased home. Stroud loves candles and collects anything with or about Michael Jackson, her favorite entertainer. “I’ve always been fascinated by his music and when I was younger, I remember “Thriller” coming out and thought it was so cool that he was from Indiana and went from nothing to making himself into a star,” says Stroud. Even though Stroud doesn’t believe the allegations about Michael Jackson’s personal life, she still feels like he was misunderstood. As a true fan, she owns almost all of his albums, including the Jackson 5. She also thinks that he was a truly genuine artist that didn’t go for the computerization route that most pop-singers today have gone for. Stroud has some close ties with music herself. She is a member of the Methodist Church in Paoli where she sings. She enjoys singing all genres of music, whether it is classical and opera or country and catchy pop tunes. A future goal of Stroud’s is to complete the renovation and decorating her new home. She also wants to receive her Master’s Degree in either education or counseling. “I want to get my Master’s soon but I haven’t decided how. Online is definitely not for me,” said Ashley Stroud. This entry was posted on Thursday, October 21st, 2010 at 8:06 pm	and posted in Archive, School News, This Issue, Top News. You can follow any responses to this entry through the RSS 2.0 feed. « Halloween fun facts: Who knew?